While you wait, here's a quick painting guide on how we painted up ours! ▲ These are the kit components. 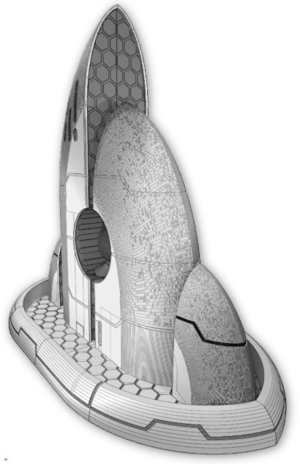 You can see that the kit comes with two different portal files - flat (for stickers) and ripple effect. 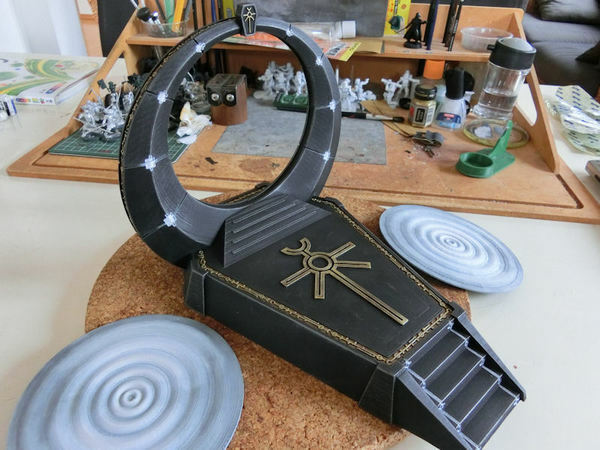 You don't need to glue the top of the portal to the base, as it's held in place with pegs, so you can swap the portals around or remove them altogether! 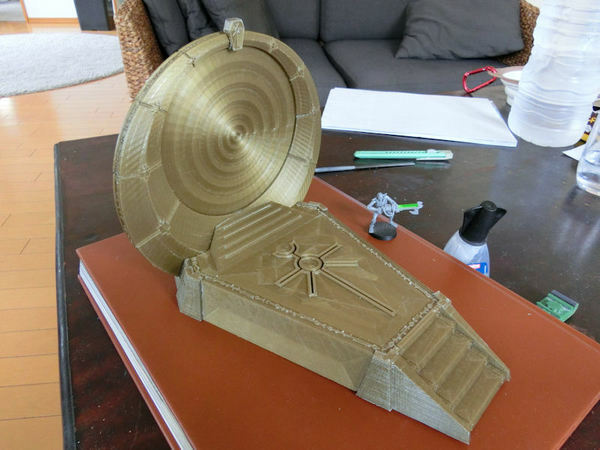 ▲ We assembled ours with plain old superglue, which works great on PLA plastic. Instructions are included in the ZIP file, so be careful to follow the construction order for the portal, or you may have to pull it apart again so it fits! 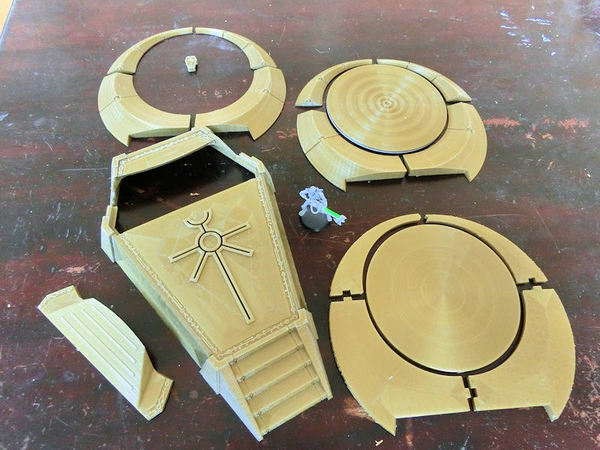 ▲ Once the kit is assembled, you can fill any gaps you don't want with putty, green stuff or a bit of filler. We filled a few line gaps around the areas where the portal joins the base. As with all our models, we undercoated it with a good coat of matt black spray. Then we used Leadbelcher (dark silver acrylic paint) to carefully and lightly drybrush on the edges. ▲ Next step was to paint the engraved areas and the necrontyr symbol with gold, and give them a couple of washes of Agrax Earthshade (brown wash). Then the raised areas of the engravings were painted over once more with gold. ▲ Almost done now.... the only thing remaining is the green glow! 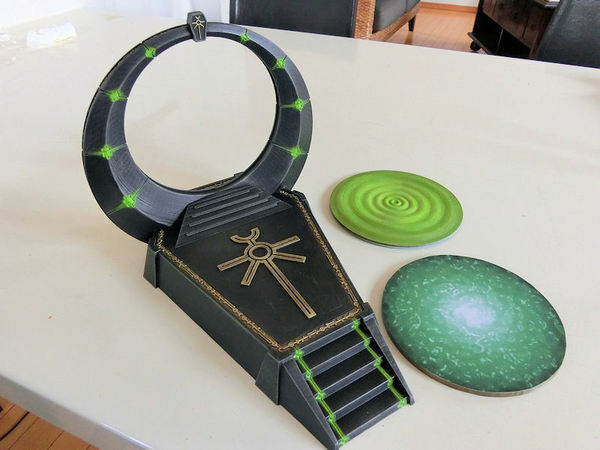 From painting our other Necrontyr models, I've found that a thin coat of a very bright green looks great over bright white, but for the ripple on the portal I also added some light grey paint between the raised areas and near the edges. 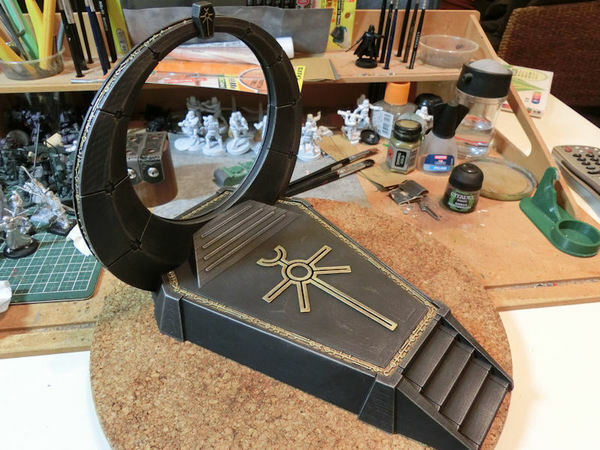 Similarly, I painted the square recesses of the portal ring in bright white, and roughly blended with grey to each side, fading to black. You don't need to be too careful here, as the next stage of green will hide some of the roughness! ▲ And here is the same model, once the bright green has been added on top of the white. If you carefully paint a little of the green 1 or 2mm around the glowing areas (on the black paint and edges), it will help strengthen the illusion of the glow. 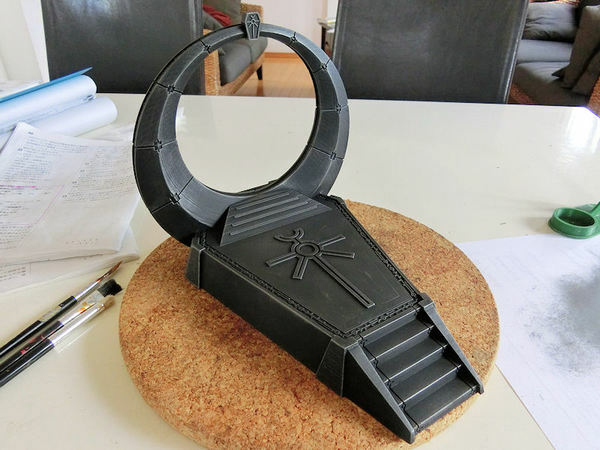 So there we have it - our Necrontyr Warp Portal, ready to hit the tabletop.